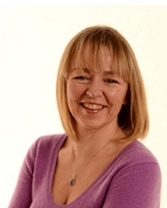 Back in 2003, Lorraine Murray set up her own company as a qualified Complementary Therapist and meditation teacher. Since then, she has dedicated her life to helping empower children to adults with meditation and mindfulness. She has her own private meditation practice which has helped her through many difficult challenges since 1998. After years of research, Lorraine had her first book published in 2012, 'Calm Kids - help children relax with mindful activities'. Previously (2010) she had established an accredited education programme, Connected Kids', to show parents, educators and other professionals how to teach children meditation and mindfulness. To date, Lorraine has traveled worldwide teaching adults how to teach children meditation. She has sold over 12,000 books worldwide and her 2nd book was released in July 2014 - aimed at adults with/working with children/teens with special needs, autism or ADHD.